A Labyrinth is an ancient geometric form used as a spiritual tool; a primordial symbol representing inspiration, meditation and prayer. The origins are not known but they have been found in Egyptian tombs, Cretan coins, Celtic stones, Christian churches and in Pima and Hopi Indian traditions. Until recently they were rare in the United States. Since the turn of the millennium, this country has witnessed a Labyrinth renaissance. There has been a resurgence in popularity and they have become increasingly common to find in schools, parks, hospitals, spas, churches and retreat centers and also private residences. Labyrinths are thought to enhance the right brain activity and uses include problem solving, conflict resolution, walking meditation, modern day pligrimage, and stress management. They differ from a maze in that it has only one path into the center and the same path back out again. There are no choices to make after the decision to enter. 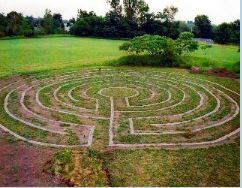 The Kripalu Yoga and Wellness Center Labyrinth is a “Seven Path Classical Labyrinth.” and is found in many of the earth’s indigenous cultures. 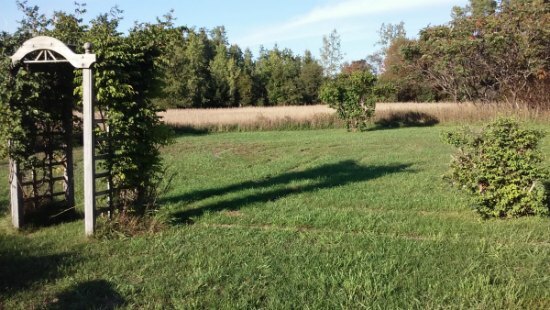 Walking the Labyrinth is a rediscovery of a long-forgotten mystical tradition. As the path winds back and forth towards the center, it may become a mirror for where you are in your life. You may experience a healing and balancing effect as your mind begins to clear and you become simply aware of your breath. Sometimes deep personal insights or new ways of perceiving life’s challenges will arise. Visitors are welcome to walk during daylight hours. 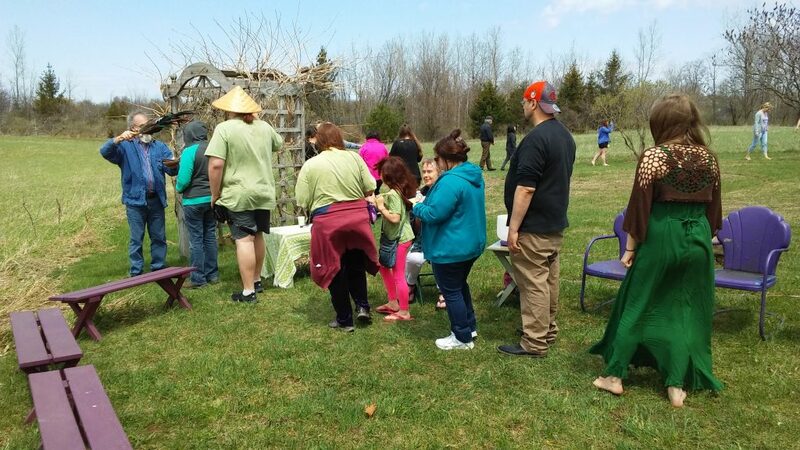 Our Peace Path Nature Trail and outdoor seven-circuit labyrinth meditation path are available for private retreats for staff or small groups. Call to discuss possibilities and scheduling 583-5500. There is no right way to walk a Labyrinth. Simply enter and follow the grass path between the bricks. Your walk can encompass a variety of attitudes. You may find that it is joyful or somber, or it may be prayerful or thoughtful. You may use it as a walking meditation. When walking in a Labyrinth choose your attitude. Try walking it with a different attitude each time to experiment. You can make it playful, prayerful or serious. Perhaps you might enjoy playing music or singing. Try praying out loud. You can walk alone or with a crowd. Listen to the sounds of nature and notice how the sky looks but most importantly, pay attention to your experience. Focus: Pause and wait at the entrance at the wooden arbor. Become quiet and centered. Give acknowledgment through a bow, nod, or other gesture and then enter. Experience: Walk purposefully. Observe the process. When you reach the center stay there and focus several moments. Leave when it seems appropriate. Follow the path back to the arbor. Come back and walk often. Enter and exit the labyrinth through the arbor. Walk the grass path between the bricks. To find a Labyrinth in your area visit the World Wide Labyrinth Locator at www.labyrinthlocator.com, an online database which lists 3,300 Labyrinths around the world. 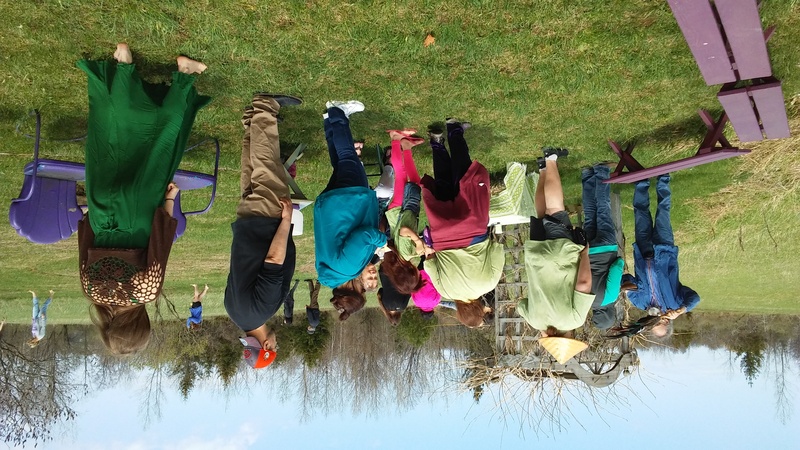 The first Saturday in May, friends of KYWC participate in World Labyrinth Day. We walk the labyrinth as one at 1 pm so that for 24 hours people are walking a labyrinth somewhere on Earth with the intention of world peace.